Online Shopping: To Order, select the color and size you desire and click "Add to Cart". If you want more than one package, just click "Add to Cart" for an additional unit. Paypal ensures a secure transaction using credit cards. 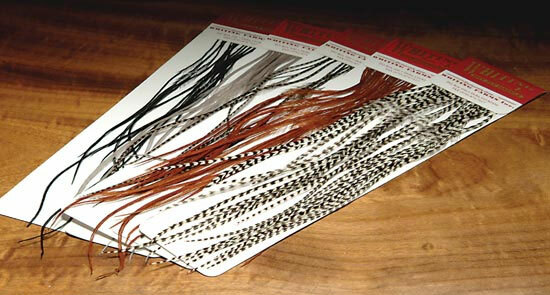 Enough quality Whiting Farms Saddle feathers to tie 100 flies in each pack. Sorted to tie the indicated hook size. 13 colors available, Sizes 12-20. See Color Chart.